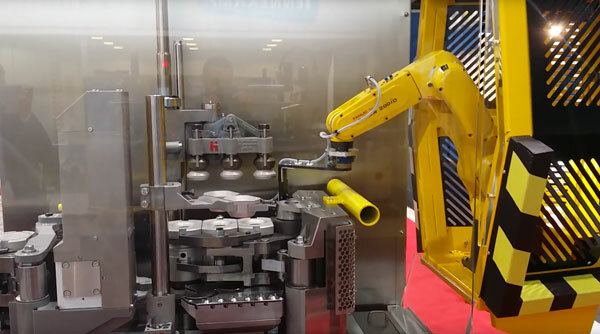 The Swabbing Robot you may have spotted at the Heye International stand was purpose-built by Socabelec to be directly integrated into the new “Speedline” IS machines that are supplied by Heye. 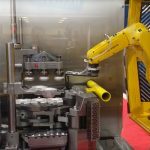 These machines are delivered directly ex-works, ”Swabbing Robot-ready” for operation. For the purpose of the fair, the entire oil spraying system was replaced by two LED lamps, which light up alternately to show the various spraying sequence stages.